"Lobulo Design is a team that specializes in making awesome designs and illustrations with paper. This video gives you a glimpse of what they do on a daily basis and it basically looks like an awesome arts and craft class for professional artists. Imagine never having to grow up and just playing with scissors all day. This is the next level of that." 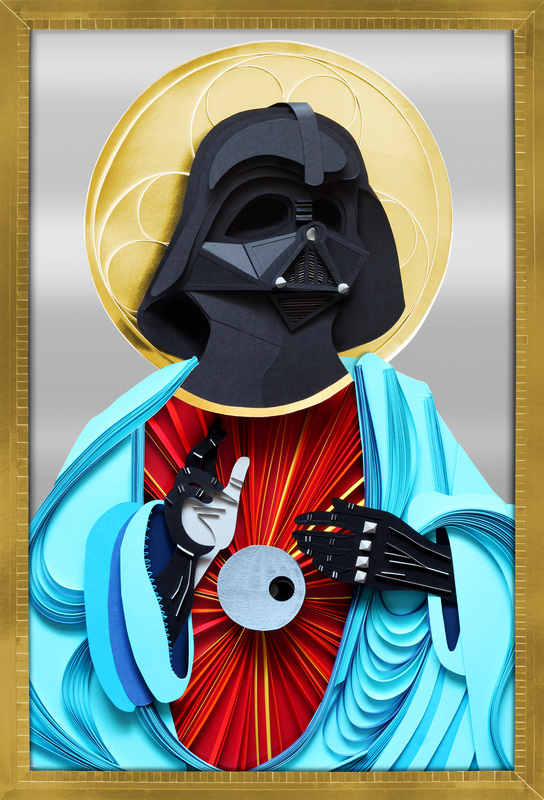 "Lobulo from London, got a lot of viral attention for his paper-cut Darth-Vader-as-a-saint illustration and he’s just updated his website with some mighty impressive new stuff." "Loulo drafted up an intricate and impressively accurate paper Darth Vader creation. The short video tracks the progression of the time-consuming project from start to finish."